Wouldn't it be neat to be able to see Dinosaurs up close? Not just the ones created for television and movies, but actually walking around? Now is your chance. 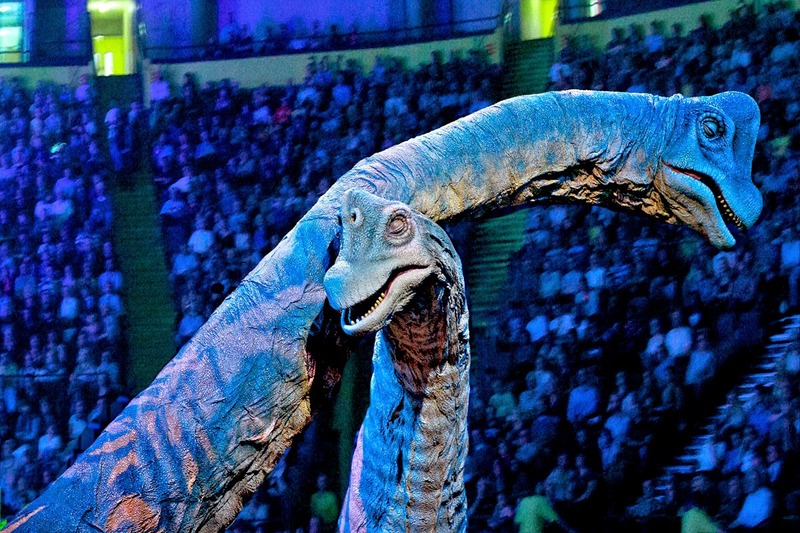 Walking with Dinosaurs - The Arena Spectacular arrives in Ottawa August 20 2014 and has shows playing until August 24 2014 at The Canadian Tire Center. Tickets are available for purchase from Capital Tickets. Seen in over 200 countries by over 700 million people. At its time, series was the most watched documentary on United States cable television. Over 2.5 million DVDs sold worldwide. Here is your chance to win tickets to opening night, 7pm August 20 2014 at Canadian Tire Center. Giveaway is open to residents of Ottawa (or those that can travel to the CT Center for the show). Must be 18+ to enter. I've never seen it before, it looks amazing! I have never been before, my kids would be in heaven!! My 5 and 8yr old are right into dinosaurs right now! Never been before, but this would be a wonderful Birthday present LOL! Never seen it, missed it last year. Son loves the dinosaur exhibit at museum of nature so I me sure he would love this! We've never seen it before, but I think our little dude would love it! I have not but know that my kids would LOVE to see the show. They are captivated by dinosaurs right now. Thanks for hosting. We've never seen this show before but i'm sure my kiddo will love this! We have never been, but have heard of this show. It would be amazing to take them to see this unforgettable experience. I have not seen it before but think it looks so cool and that my kids would love it! We have not seen this show before, it would be a great treat for the kids to see it. Never seen it. Not sure who would enjoy it more, the girls or hubby and me! I haven't seen it but would LOVE to!! Never seen this...but my son (and husband!!) would freak! Never seen it before. My 3 kids LOVE everything dinosaurs, would be really neat to win this. Nope! Me and my four siblings would love to attend. We watch every episode of dinosaur train, every film of the land before time, and any other movie about dinosaurs! I saw it 4 or 5 years ago and it was really neat. I think it'd be so much fun to watch my son experience it! I've never seen or heard of it before but my daughter wold love it! Hope I will be lucky enough to win. I have several kids that will be thrilled to attend! I have never seen it but my granddaughter would love to go. I haven't seen this show before, but I would love to to see it with my family. I haven't seen it yet, but would love to take my daughter. I haven't seen it but I think my kids would LOVE it! 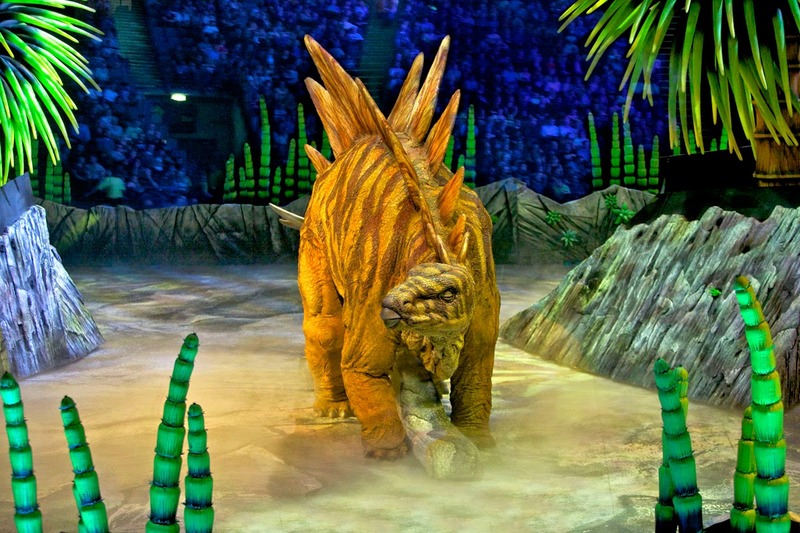 I have never seen Walking With Dinosaurs before, but my grandson would love this! Never seen it, but sure would love too! Ooh that would be fun!!! Never seen the live show. My dino obsessed son would love it! Never seen it but I think my son would love it. 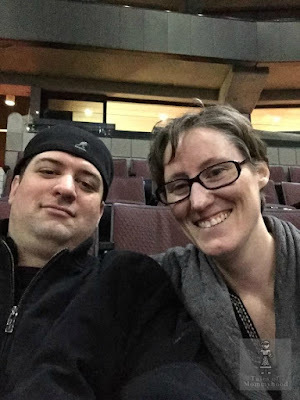 Would love to take our son and niece to the show as we have yet to see it. Nope never! But looks so cool!